What’s the best red & black roulette system? First let’s look at the odds. The roulette odds for colors are 1 to 1 (excluding zero). Can you win at roulette with a roulette system that uses only red and black bets? To my knowledge, there is only one way and it is only possible in very rare circumstances. Additionally, it requires predictive electronics. But that is beyond the scope of this article. This article focus on a Roulette red / black strategy that is better suited to the average player. If you are looking for a roulette system that already wins, without the need for further research or development, see www.roulettephysics.com. But before betting with this strategy, learn why most players lose and learn what happens when you use a roulette betting progression. Before I continue, understand that I am in no way presenting a red black system that will win in the long-term. And statistically, 100 players using the exact same system will on average lose. So this is not a professional roulette system, but it is fun to play and usually achieves good results in the short term. The system is simply start by betting one chip. If you lose, increase your bet size by one chip. If you win, decrease your bet size by one chip. So it’s a very basic progression but is very easy to apply. When I first started out at roulette, I almost always used a simple system such as this to pay for dinner. Continue play such as this eventually blows the bankroll because you’re progression gets so large that a single loss can be devastating. Theoretically, without any table betting limits, your betting progression could go forever. But in reality there are betting limits, and you don’t have an unlimited supply of money. Nevertheless, red and black betting systems are a great way to stay at the table for extended periods. Very rarely will I ever bet on red or black, and if I do it is with the understanding that the casino has the long-term edge. But you may recall a while back I did precognition testing. Precognition involves basically psychic predictions to determine whether or red or black will spin next. The precognition trials we did involved exact number bets rather than colours, which is perhaps inappropriate considering other precognition trials indicate colour predictions tend to be more accurate. Do I believe in precognition? Well I don’t have irrefutable proof that it exists, but I believe I have experienced enough to believe that it is real. You can make up your own mind. Below is a strategy involving red and black bets that tends to work well with precognition, at least according to trials I have done. Firstly, understand that psychic phenomena involves living energy. Putting to more understandable context, it is much easier for someone to remember something that is attached to emotion or life. For example, it is very easy to remember a face, but not so much a name. A name is somewhat arbitrary. It is just a bunch of letters. But there is a stronger relationship to a person’s face, so it is easier to recognise and remember. If the same kind of case when it comes to precognition in roulette, where predicting a number such as 32 is kind of arbitrary. And besides 32 is quite similar to 22. But something such as the colour is more organic and specific. As is the green zero. I can’t say I’ve ever achieved long-term winnings with precognition, but I do believe it has great potential for beating roulette than any other technology in existence, including roulette computers. I believe everyone has at least a latent ability for precognition, but of course like any skill or ability, it can be developed. The two methods I suggest are assuming that precognition is real, and once again you can decide for yourself if it is not. Whenever we make a decision, I believe we all have a gut feeling in our solar plexus that tells us whether we feel good or bad about the decision. So when you place a bet on red, you will either feel good or bad about the decision. If the feeling is positive, keep your bet on red. If it is negative, move your back to black. Obviously you will look a bit silly and indecisive at the table, but this is by far the most successful method at precognition, at least from my experience. Method 2: Red or black. I have had very little to no success at trying to guess whether red or black will spin next. This is not to say that you won’t have any success. 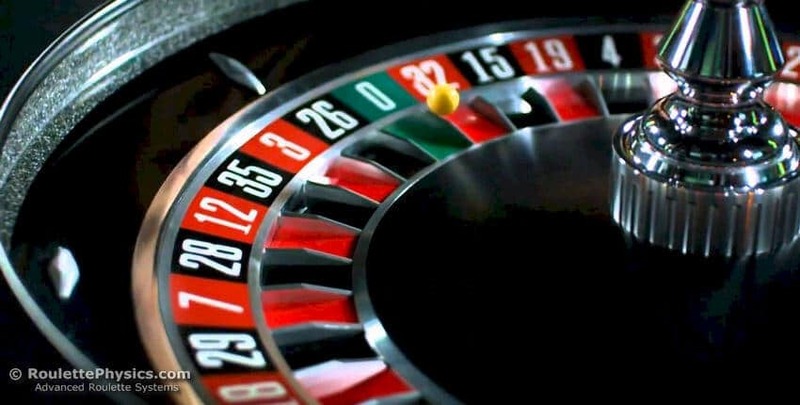 You probably arrived here expecting to find something different, but my experience with roulette has taught me you can’t win with red or black bets, or any bet for that matter, unless you first increase the accuracy of your predictions. No betting progression will change this fact. And because red and black alternate each pocket, perhaps the only universal winning red and black system involves the use of precognition. But in my experience, it is absolutely essential that there be a living element to the prediction process. It is not as simple as just predicting an arbitrary number. It’s like seeing a 10 digit number, then one year later being asked if you had seen a number before. You simply wouldn’t have an idea unless you have perfect memory. But if you are shown a picture of something and a year later were shown it again, you would be able to recognize it as something you have seen before. If precognition is not something you want to try, then the best red & black roulette system for you will probably be a basic progression system. Simply if you lose, increase your bet by one unit. If you win, reduce your bet by one unit. To prevent your bets becoming too large, reset your bet to 1 unit when you have significantly increased your bankroll. You can reset when you are up by one unit, or aim for a larger profit. The more aggressive your progression, the greater the risk of quickly losing your bankroll. At least this is a simple strategy that anyone can learn and use, and it keeps you at the table for a long time.